Other values you can use are: 0=auto, 1=headphones, 2=HDMI. 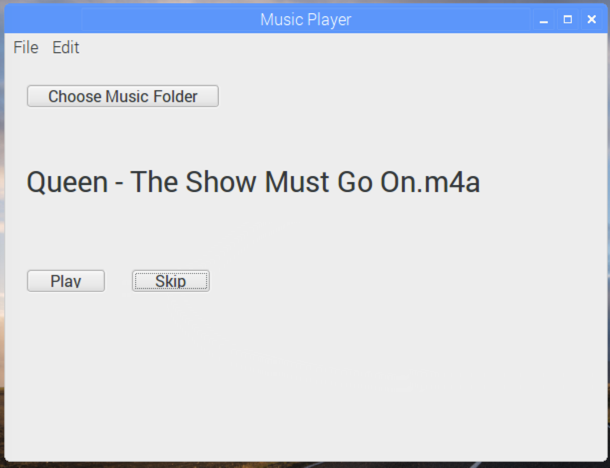 Change the name of the label from “Label1” to “NowPlayingLabel” and make it as wide as the window. The music files are loaded as Sound objects and the CurrentSong property is the song that is currently playing. The Songs() array is an array of the MP3 and AAC files that were loaded from the selected folder. And the CurrentSongIndex is the position of the current file (in the array) to play. Note: Do not type the Sub/End Sub part of the method in the code editor; instead enter that information in the Inspector. This code stops any currently playing song, increases the current song index by 1 (looping back to the start if the end is reached) and then loads the sound file from the array so it can be played. Lastly it updates the label with the name of the song file. You can do a quick test with just this code in place. 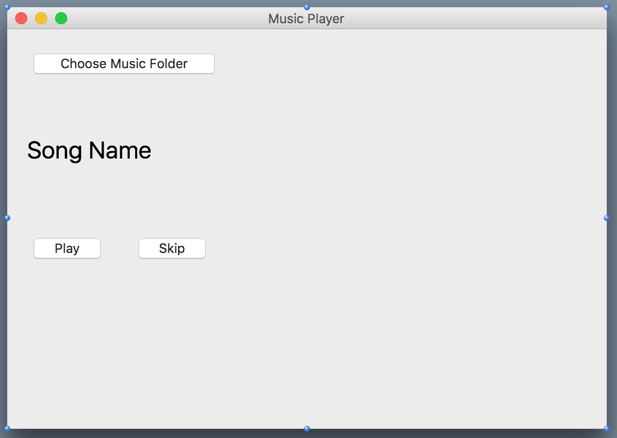 Run the project (using the Remote Debugger) on the Pi and choose a folder containing music files. The first song in the folder should start playing. You can now again run the project on the Pi to test out these new features. When music is playing, click the Play button to stop and play. Click the Skip button to skip to and play the next song.
' so that must mean the song has finished on its own. Run the project on the Pi and you’ll see that the next song starts playing about 1 second after the current song finishes. Are you interested in trying more Raspberry Pi projects with Xojo? Download Xojo for free and then check out the free Programming the Raspberry Pi with Xojo book available on the Xojo Dev Center, which contains this project and many others.